MOSCOW, January 8. /TASS/. New Kalibr-M cruise missile with a range of over 4,500 km is currently under development in Russia for the Russian Navy, a source in the military-industrial complex told TASS on Tuesday. 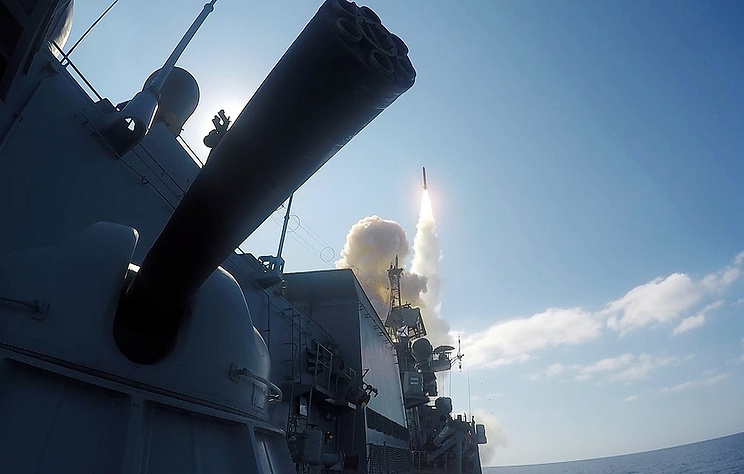 "The newest high-precision ship-based Kalibr-M cruise missile with a maximum firing range of more than 4,500 km is being developed for the Russian Navy. The creation of the rocket is at the stage of scientific research and financed by the Ministry of Defense," the source told TASS. The source clarified that the development of the missile was included in the state armament program until 2027, and "the rocket must be transferred to the fleet before the end of the program." The source added that the new missile will differ from the existing Kalibr missiles in service both in terms of its longer range and dimensions. "It will be much larger, the weight of its warhead will approach 1 tonne," he noted. According to the source, large surface ships will be equipped with it, starting with frigates, as well as nuclear submarines. "Kalibr-M is designed to destroy land facilities and will be able to carry both conventional and nuclear warhead," he said. TASS does not have official confirmation of the information provided by the source. At present, Kalibr missile system is in service with the Russian Navy. According to data from open sources, the maximum firing range of a 3M-14 cruise missile from this complex, flying at subsonic speed, reaches around 2,000 km.